This is the new flavour hot chocolate from Mars in the pouch bag range. I'm incredibly fussy when it comes to hot chocolate, not many get my seal of approval, but I have found all the ones in these pouches from Mars have been really good, the Milky Way Stars and M&Ms being staples on my shopping list. 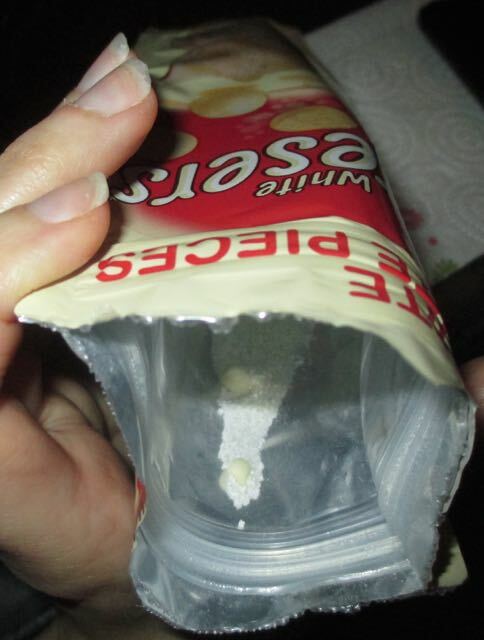 I do think it is a shame they come in the smaller pouches though, they are resealable which is very useful but you don't get that many mugs worth from them which always seems a bit disappointing. As with all the Mars pouch hot chocolates inside is the powder to make the drink but also actual pieces of chocolate to dissolve. 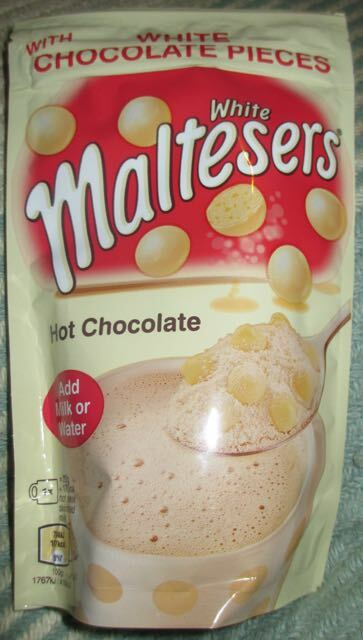 The White Maltesers Hot Chocolate can be made with either hot milk or water, but to give it a fair taste test I went for milk as that is always the best. There was a bit of stirring to ensure all the chocolatey goodness dissolved, but it wasn't hard to mix up. I went for the microwave option, because I like things simple. In terms of taste the flavour was very sweet and very creamy, with had lots of malt. More malt than you get with Maltesers, more like a white Horlics, the ratio of maltiness to chocolate is just at a slightly different ratio. Having said that I enjoyed the drink, and found the flavour to be easy going and tasty. In conclusion it was nice to try, and tasted as it aught to, lots of malt and creamy sweet white chocolate flavour, but I just prefer the soothing taste of the milk chocolate Milky Way Stars version. This is nice for a change, for when you need a sweet toothed treat, but I can't see it becoming a regular on my grocery shop.